We understand your needs to have a home that is as incredibly fabulously extremely beautiful as it is functional. We have helped hundreds of home owners achieve their dreams and create rooms that fit their lifestyles. DreamMaker Bath & Kitchen has a solid reputation and provides clients with courtesy, quality work and professionalism. We can work with you to plan the best solution for your kitchen or bath. Your DreamMaker team can help you visualize the opportunities to improve each room and recommend the most efficient way to accomplish your goals. We will work with you to create your dream kitchen. We'll help you create a dream bath that fits your lifestyle. Dramatic changes in living spaces can be achieved so easily, whether updating a kitchen or remodeling a bathroom. 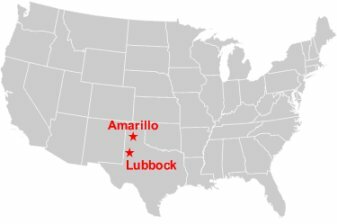 DreamMaker Amarillo wants to help you get the room you want for a budget that makes sense. 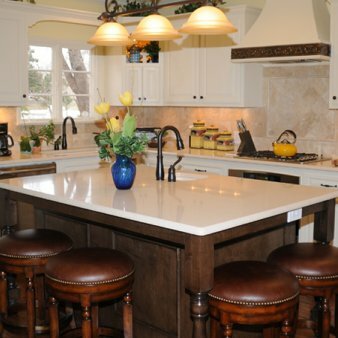 Since 2003, DreamMaker Bath & Kitchen has set the standard for quality remodeling in the Amarillo and West Texas area. 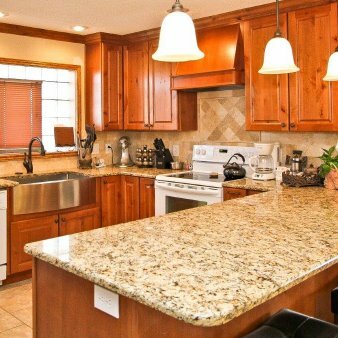 We have helped hundreds of West Texas homeowners with their remodeling needs. We are the company to call for your remodeling when both character and craftsmanship count – so say our customers! We can provide a full range of easy access shower, kitchen and daily living aids specifically with the elderly and disabled in mind. 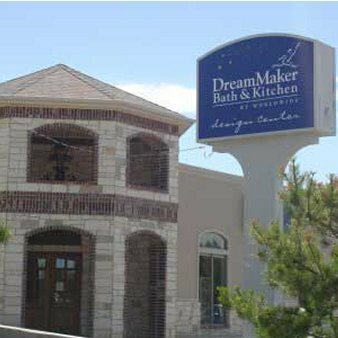 DreamMaker Bath & Kitchen operates throughout West Texas and the Texas Panhandle, with stores in Amarillo and Lubbock. See our Dust Protection in action! "Our master bathroom is gorgeous. We really, really, really love it! I wish I would've had it done 25 years ago, so I'd have longer to enjoy it!" - Linda R.
"We would recommend them to anybody and everybody, and we would love to have them do work in our home again." - Marsha H.
"DreamMaker does great quality work. And the crew was so very courteous and excellent at communicating with us." 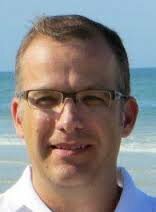 - Christine H.
"The DreamMaker crew was wonderful; extremely professional and considerate." - Shelly H.